Lufthansa A350-900. Image courtesy airline. 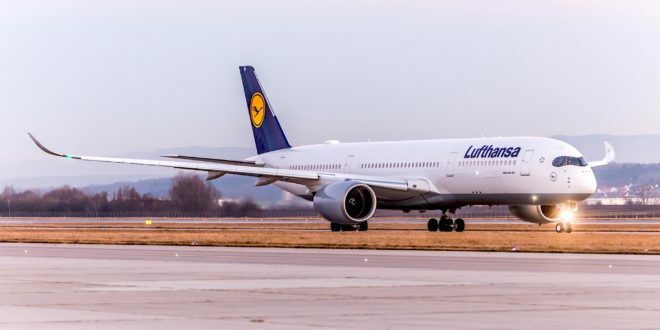 German flag carrier Deutsche Lufthansa has commenced operations on the Mumbai Munich route using the newest aircraft in the world today, the Airbus A350-900 XWB (Xtra Wide Body). 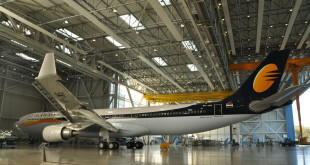 With this, Lufthansa is operating the modern airliner on both its India routes. 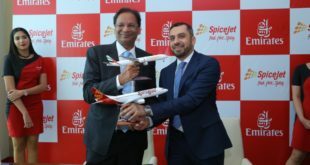 It had commenced A350-900 operations on the Munich New Delhi Munich route in February. Munich is the primary hub for the A350 for Lufthansa. 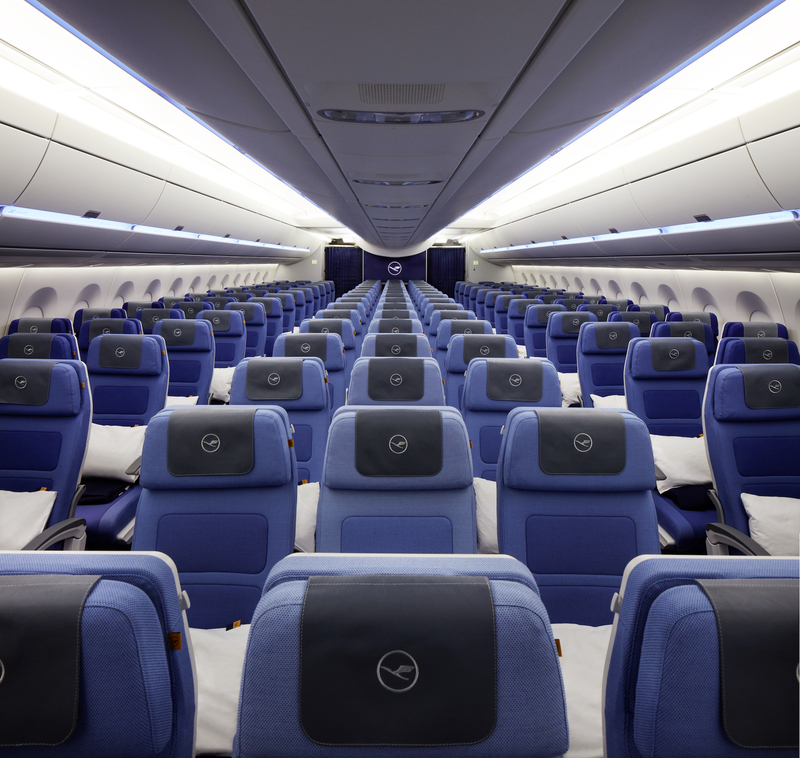 Lufthansa’s A350-900s are equipped to carry 293 passengers in a three class cabin configuration. 48 in business (six seat abreast), 21 in premium economy (seven seat abreast), and 224 in economy (nine seat abreast). The aircraft with a new in-flight entertainment (IFE) system with a Wi-Fi adaptive cabin that offers passengers access to movies on demand and mobile phone connectivity. 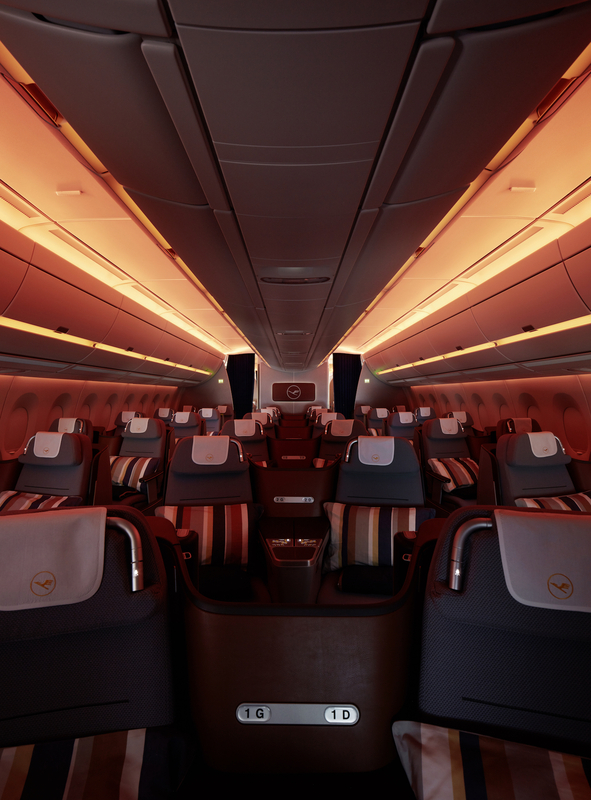 The cabin also features a new modern LED driven lighting system which offers multiple configurations to match the human rhythms. 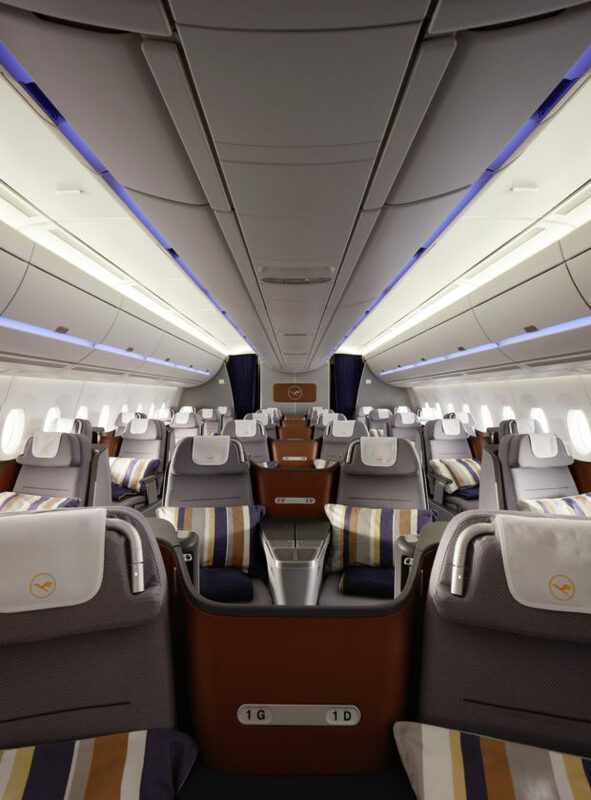 Like its competitor the Boeing 787 Dreamliner, the A350 makes extensive use of composite materials which allows for a quiet cabin, high ceilings, larger windows and higher pressurisation which reduces the effects of jet lag. Unlike the Dreamliner, the A350 has wider seats in economy class when both are fitted in a nine seat abreast layout. 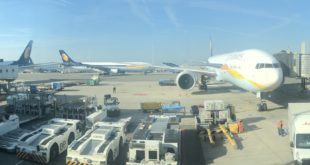 The release from the airline has not indicated whether it will continue to operate the A350 to Mumbai after the summer. Lufthansa also operates its Boeing 747-8 on the Frankfurt Mumbai route.